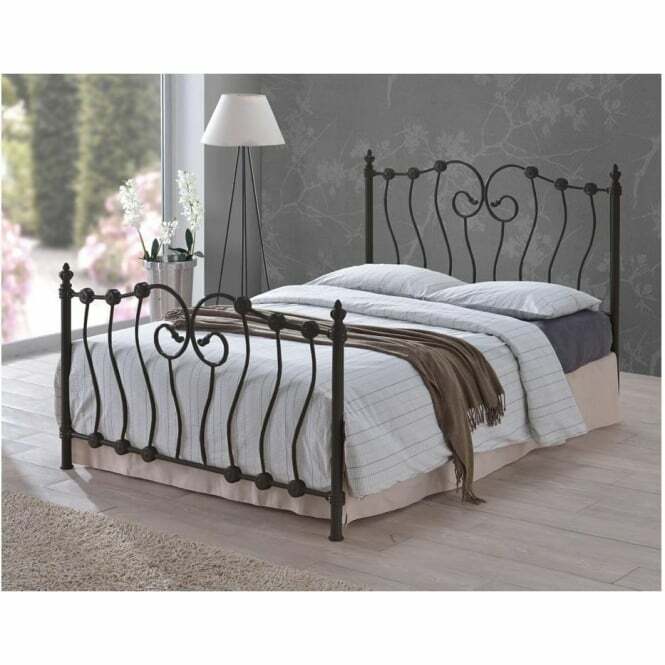 This appealing 4ft6 double black metal bed frame is part of the Time Living Inova range. Available with or without a mattress option, this 4ft6 double bed frame is ideal for any master bedroom. Featuring a stunning black metal finish and eye pleasing design, this 4ft6 double INO46BLK Inova black metal bed is one of our most popular selling bed frames. This bed features two columns of sprung wooden slats, with a centre support rail. We offer free next day delivery on this 4ft6 Inova black double metal bed when purchased with or without a mattress. This bed is suitable for use with any UK standard 4ft6 double mattress. All of our Time Living Inova INO46BLK black bed frames come with a manufacturer’s warranty, covering you in the unlikely event of a manufacturing fault or defect.